Here, dine on exuberant Mediterranean cuisine in the style of Italy's sunny Amalfi Coast. This enchanting trattoria, opened in 1987, was restaurateur Frank DePasquale's first venture, and locals affectionately refer to it simply as Il Panino. 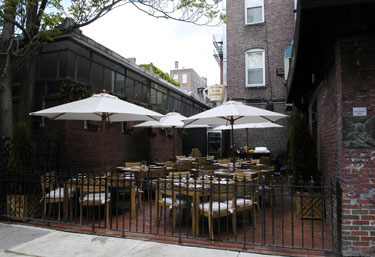 Il Panino is located in the historic North End of Boston at 11 Parmenter Street, just off the famous Hanover Street. Il Panino is rustic and casual, and is patronized by young and old, locals and out-of-towners, business people and students. Guests are greeted effusively by our friendly staff, many of whom hail from the Old Country. The tiny, wood-beamed upper level dining room exudes charm and Southern Italian ambiance. Chef Willie creates Italian masterpieces inspired by old family recipes from Sorrento and other seaside towns in an open kitchen.